J.A.M. 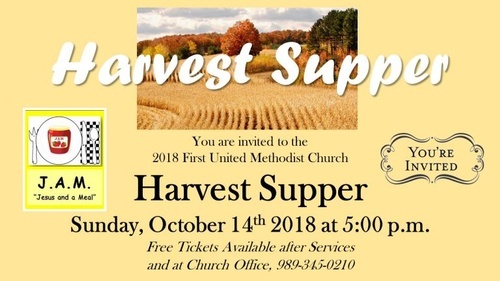 - Jesus and a Meal - HARVEST SUPPER! FREE but must R.S.V.P. due to limited seating! or call 989-345-0210 the church office.